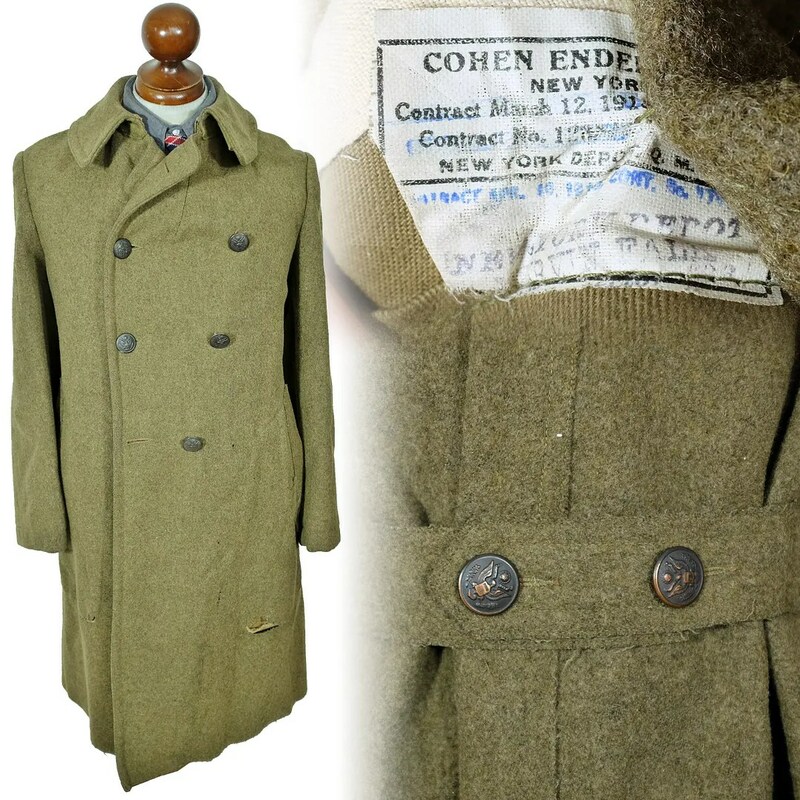 This vintage overcoat was made in 1918 by Cohen Endel . . . of New York and was distributed by the New York Depot quartermaster. 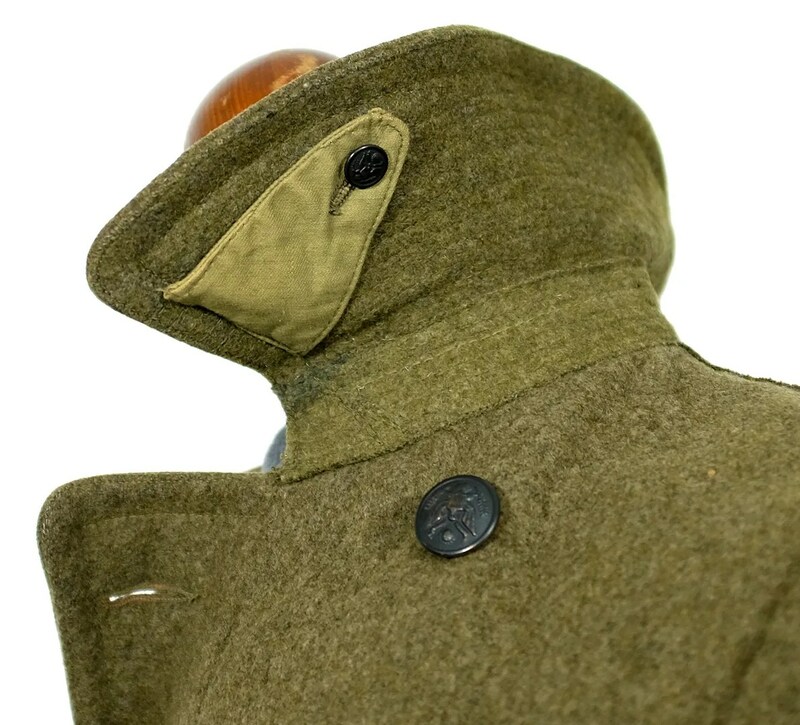 The coat is double breasted, with a belted back and buttoned throat latch. 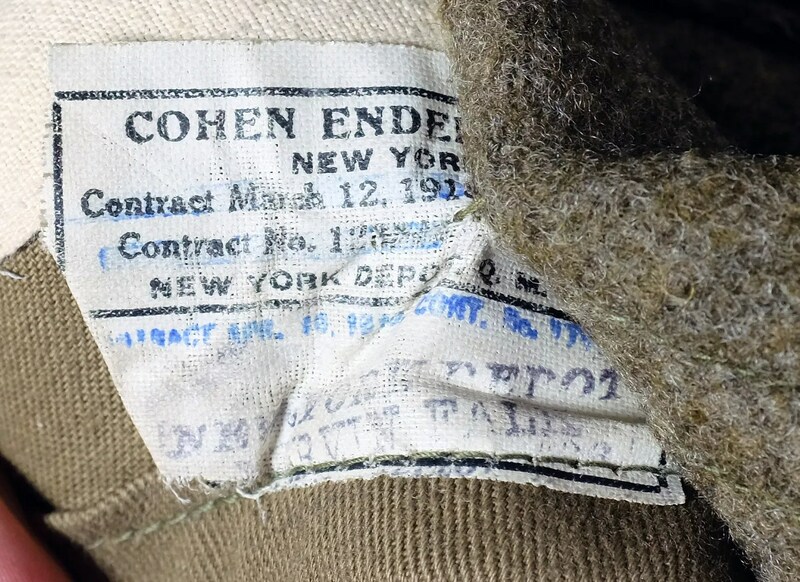 There is a secondary stamp from the New York Depot, stamped Marvin Falk and what looks like 1933. 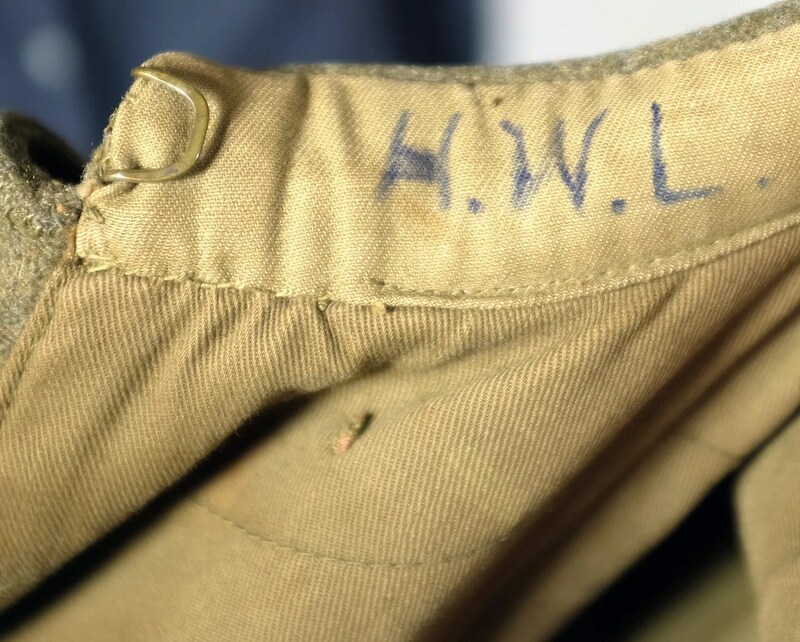 The belt-back is is sewn over the tag and lining, and from its construction, looks like it may have been added later. 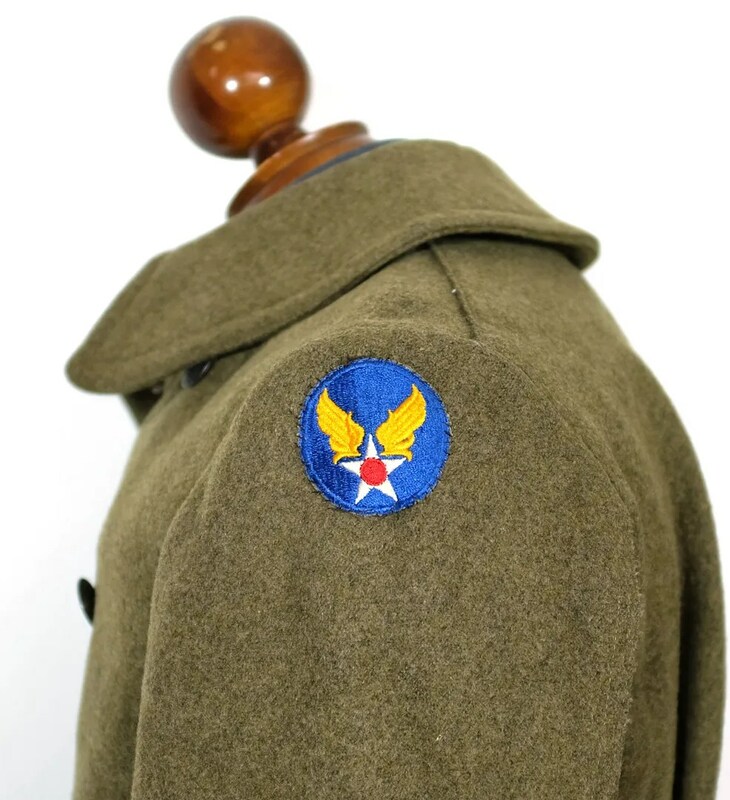 There is a army air corps patch on the shoulder, obviously added later than WWI, however if the coat was re-issued in the 1930s, it would likely have been added at that point. 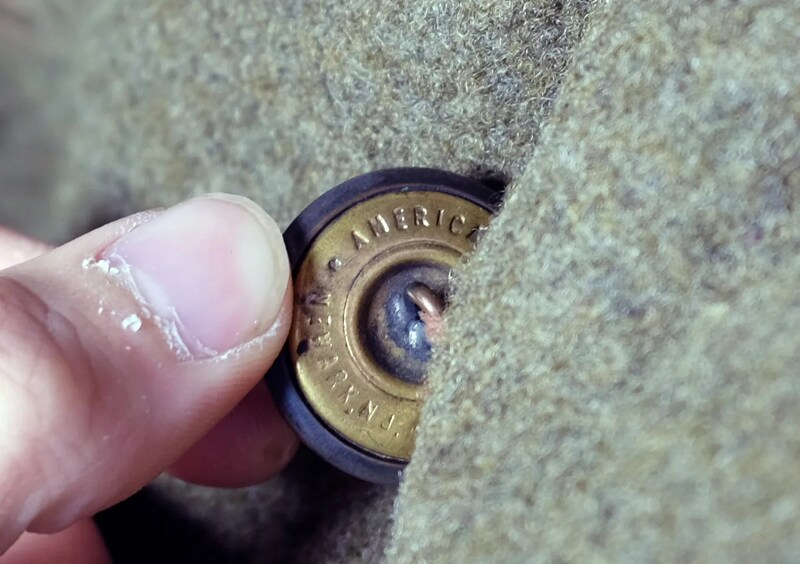 The As is typical of coats of this period, it is only partially lined. 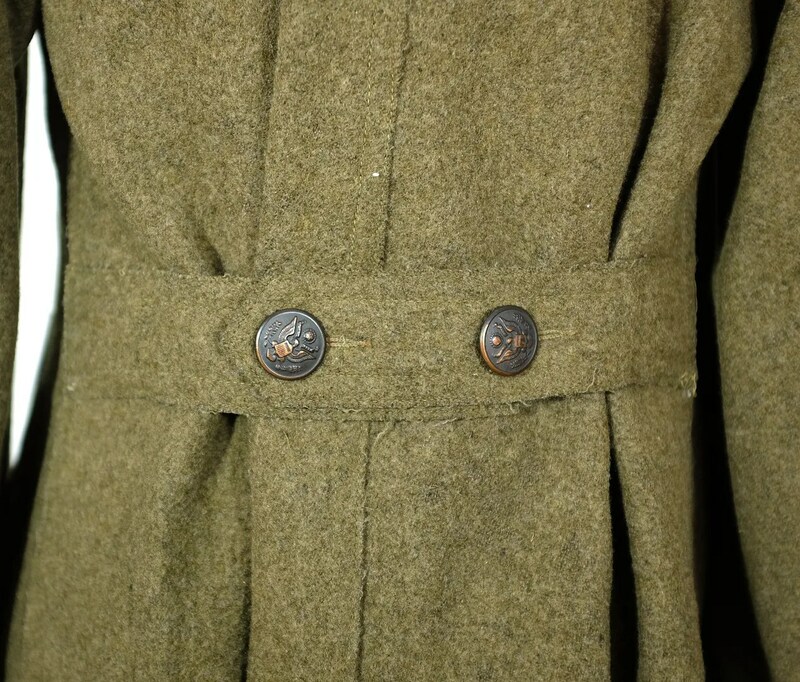 This entry was posted in Coats and tagged 1910s, 1918, american, clothing, coat, doughboy, fashion, great war, greatcoat, military, overcoat, soldier, style, uniform, USA, vintage, WWI by Spencer Stewart. Bookmark the permalink.